Water is as broad and vast as photography itself can be. 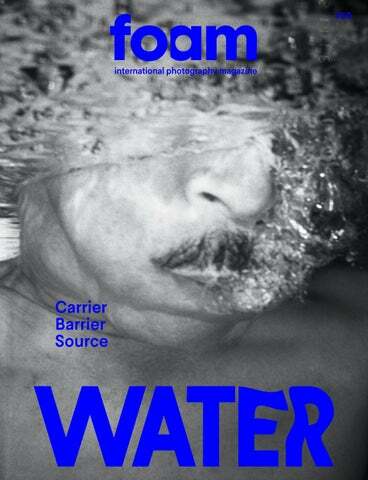 This issue celebrates the beauty and vital role water plays in our everyday lives. It brings into focus the value that is added to this liquid, either as a ritualistic cleanser or as a forceful means of feeding the political and commercial interests of our time. If we can speak of a point of orientation or inquiry in this fluidity of images, meanings and critical thoughts, it is our triple axis of water as carrier, barrier, and source. 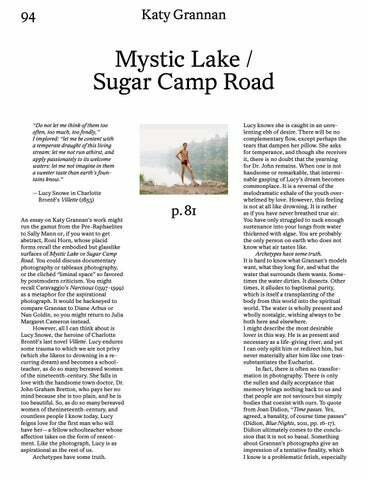 The question of why we are devoting an entire issue of Foam Magazine to the subject of water is not easy to answer. A simple response would be that water is a prerequisite for life on our planet. Nothing can live without it. The history of water connects the cells of our bodies and all living creatures on earth to the oceans, rivers, icecaps, rain, and with water as it reliably pours out of the taps and, equally reliably, disappears down the drain. Water is taken for granted, a part of our lives about which we ask few questions, until we find ourselves without it. Humankind’s dealings with water have always represented one of our greatest challenges. Water has been responsible for both the creation and the destruction of civilisations, and this will be no less true in the future. Ultimately, every individual inhabitant of the earth needs to take a share of the responsibility for dealing wisely with this magical liquid. Because magical it is. Water is in motion, water is life, whether in the scientific context of major hydrological cycles or in the experience of a visitor making a pilgrimage to Lourdes, seeking holy water. Water is both nature and culture. Almost every creation story begins with water. It has biological, chemical, ecological, economic, political and ­social components. It is also inextricably bound up with religion and spirituality, with myths, legends and stories. structure of previous issues, is a nod to the free nature of water itself. The three focus essays float in this steady stream of portfolios, offering a kind of contextual resting place. Taken together, the portfolios offer a powerful and varied impression of the richness of photography and of water. Even more importantly, they show how we humans have tried to relate to our ultimate source of life over the centuries. This issue raises questions and prompts further thought, but above all it provides a great deal of visual and reading pleasure. Mystic Lake / Sugar Camp Road “Do not let me think of them too ­often, too much, too fondly,” I ­implored: “let me be content with a temperate draught of this living stream: let me not run athirst, and apply passionately to its welcome waters: let me not imagine in them a sweeter taste than earth’s fountains know.” — Lucy Snowe in Charlotte Brontë’s ­Villette (1853) An essay on Katy Grannan’s work might run the gamut from the Pre-Raphaelites to Sally Mann or, if you want to get abstract, Roni Horn, whose placid forms recall the embodied but glasslike surfaces of Mystic Lake or Sugar Camp Road. You could discuss documentary photography or tableaux photography, or the clichéd “liminal space” so favored by postmodern criticism. You might ­recall Caravaggio’s Narcissus (1597-1599) as a metaphor for the aspirational photograph. It would be hackneyed to compare Grannan to Diane Arbus or Nan Goldin, so you might return to Julia Margaret Cameron instead. However, all I can think about is Lucy Snowe, the heroine of ­Charlotte Brontë’s last novel Villette. Lucy ­endures some trauma to which we are not privy (which she likens to drowning in a recurring dream) and becomes a schoolteacher, as do so many bereaved women of the nineteenth-century. She falls in love with the handsome town doctor, Dr. John Graham ­Bretton, who pays her no mind because she is too plain, and he is too beautiful. So, as do so many bereaved women of the­nineteenth-century, and countless people I know today, Lucy feigns love for the first man who will have her — a fellow schoolteacher whose affection takes on the form of resentment. Like the photograph, Lucy is as aspirational as the rest of us. Archetypes have some truth. pressed by artist György Kepes in 1956, when he described an invisible world rendered visible via new imaging technology “The rapid expansion of knowledge and technological development has swept us into a world beyond our grasp the face of nature has grown alien once again. […] our new environment harbors­ strange menacing beasts; invisible ­viruses, ­atoms, meson, protons, cosmic rays, super­sonic waves are harboured by the new environment.” Barker’s series focuses on threats posed by technological production to the natural world. 277 ied at the Gerrit Rietveld Academie, Amsterdam and later went on to study at the Rijksakademie van ­Beeldende Kunsten. 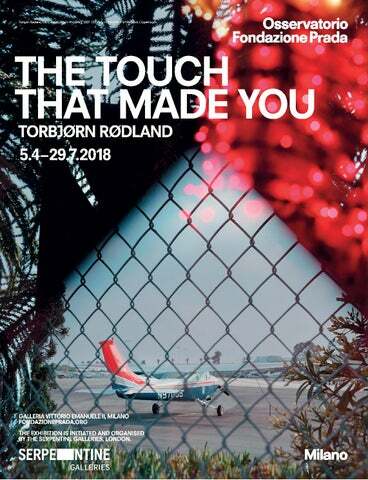 Her work has been exhibited extensively across the Netherlands and has also been shown internationally at venues such as Aperture, New York; Gallery ­Ludovic de Wavrin, Paris; and ­Erasmus Huis in Jakarta. Diederix has published five books. She is ­represented by Stigter van Doesburg, Amsterdam. De Tuinen van Elspeth Diederix is on show at the Stedelijk Museum Schiedam, the Netherlands from June 23 – September 30, 2018. ODDNÝ EIR (b. 1972, IS) is an Icelandic author and part-time goat and sheepfarmer. Two of her works published in English are The Blue Blood and The Land of Love and ­ Ruins (translated by Philip Roughton), the latter won the European Union prize of literature and the Icelandic ­Women’s prize. Eir studied philo­ sophy and languages in Reykjavík, Stockholm, Budapest, and Paris. She dropped her thesis when she moved to New York and started writing for artists (among them Roni Horn and Hreinn Friðfinnsson) and to become a writer publishing novels, proses, and poetry. She collaborated with Björk on nature preservation projects and lyrics and she ran a visual arts space in New York called Dandruff Space with her brother, the archaeologist Uggi Ævarsson. Currently, Eir is involved in an artwork central to the notion of water, which is an ­installation by her mother, Guðrún Kristjánsdóttir in Finland. MASAHISA FUKASE (b. 1934-2012, JP) was a Japanese photographer born in the town of Bifuka. He graduated from the Nihon University C ­ ollege of Arts Photography Department in 1956. In the mid-1970s ­Fukase set up a photographic school, The Workshop, with Daido Moriyama and Shomei Tomatsu. His work has been exhibited widely at institutions such as MoMA, New York; Victoria and ­Albert Museum, London and Fondation Cartier pour l’Art Contemporain, Paris to name a few. Fukase has also won many prizes including the second Ina Nobuo Award in 1976 for his exhibition Karasu as well as the ­Special Award at the eighth Higashikawa Photography Awards in 1992. KATY GRANNAN (b. 1969, US) is a photographer renowned for her ­intimate portraits of strangers. She received her BA from the University of Pennsylvania and later went on to obtain her MFA from the Yale School of Art. Grannan has exhibited her work extensively in both solo and group exhibitions, she has exhibited at international venues including Kunsthalle Vienna, Austria; Fifty One Fine Art Photography, Antwerp; and the Guggenheim Museum, Spain. She is represented by Fraenkel ­Gallery in San Francisco and Salon 94 in New York. the University of Southern California and Mellon Fellow in Women’s ­History at the New York Historical Society. He is the author of numerous essays, reviews, chapters, and features for a variety of international publications. He lives and works in Los Angeles and New York. Simmons has a particular interest in the work of Katy Grannan and her compelling mysticism. FRANK VAN DER STOK (b. 1967, NL) is a curator, editor, tutor and writer. He studied art history at the University of Leiden majoring in photography and lens based arts. He set up The Past in the Present, which was a ­programme of lectures, exhibitions and commissions that examined the representation of history in the field of visual arts. Van der Stok is also ­co-founder of Radical Reversibility, a research-based art cooperation that investigates new horizons, alternative perspectives and different concepts towards a fundamental transformation of our looking and thinking (habits). He edited several books with Elspeth Diederix and represented her for the Amsterdambased artistic photography agency Solar in the period 1999–2009. TAKE ME TO THE WATER comes from the International Center of Photography’s collection of postcards and photographs of documenting the ­ritual ceremonies of river baptisms in the American South and Midwest between 1880 and 1930. The selection is drawn from a donation of over 200 images made by collectors ­Janna Rosenkranz and Jim Linderman in 2007. Take Me to the Water: Photographs of River Baptisms was exhibited at ICP in 2011. DARIA TUMINAS (b. 1984, RU) is a researcher, photographer and curator based in Amsterdam. She studied at St. Petersburg State University majoring in Russian Literature and ­Folklore, and obtained an MA in Film and Photographic Studies at Leiden University. From 2012 to 2014, she co-organised the Dutch Photo­ graphy Experience project in St ­Petersburg consisting of annual workshops as well as Undercover, a group exhibition on Dutch photobooks. 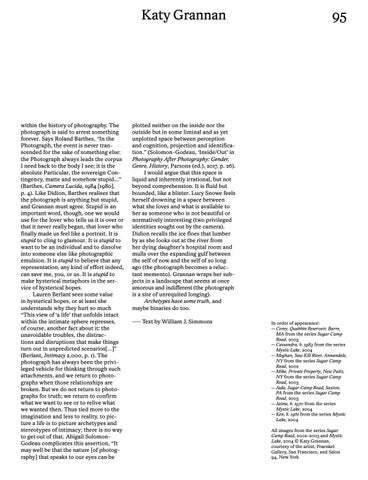 She was the guest editor of The Photobook Review #12 published by Aperture in spring 2017. The issue focused on the relations between cinema and photobooks connected to a public event she ­co-curated at the Stedelijk Museum Amsterdam. Currently, Tuminas works as the head of Unseen Book Market at Unseen Amsterdam. 10% discount Receive 3 issues of world’s most inspiring photography magazine. This offer is valid until 1 September 2018. Visit shop.foam.org and use discount code ‘FM51’! © Photographers, authors, Foam Magazine BV, Amsterdam, 2018. All photographs and illustration material is the copyright property of the photographers and/or their estates, and the publications in which they have been published. Every effort has been made to contact copyright holders. Any copyright holders we have been unable to reach or to whom inaccurate acknowledgement has been made are invited to ­contact the publishers at magazine@foam.org. All rights reserved. No part of this publication may be reproduced or transmitted in any form or by any means, electronic or mechanical, including photo-copy, recording or otherwise without prior written permission of the publishers. 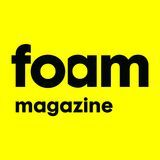 ­Although the highest care is taken to make the information contained in Foam Magazine as accurate as possible, neither the publishers nor the authors can accept any ­responsibility for damage, of any nature, resulting from the use of this information. 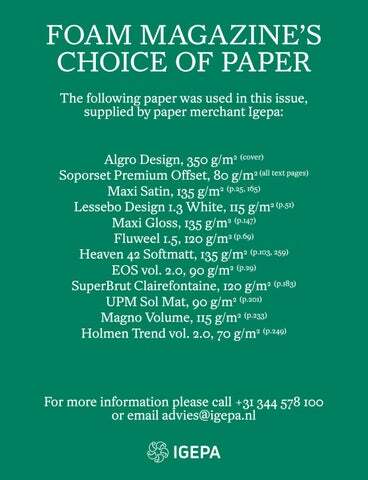 The production of Foam Magazine has been made possible thanks to the generous support of paper ­supplier Igepa Netherlands B.V.